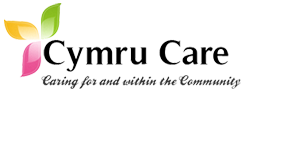 Cymru Care UK Ltd is a small husband and wife led Domiciliary agency based in the heart of Caerphilly, South Wales. Established in 2009 by Alison Long, the company name and image has become synonymous with the high standards of care and support delivered throughout Caerphilly, Torfaen and Newport. Alison has worked in care for many years and viewed a gap in the local market for a small highly motivated, punctual and dependable agency. It is no secret that many larger agencies fail to deliver a family orientated, person centred service and that is exactly what is offered by Cymru Care. Cymru Care work alongside the Aneurin Bevan Complex Care Team providing palliative and social care support. The agency also supports private clients throughout the Caerphilly Borough. Cymru Care is registered with the CSSIW to provide care for the elderly, elderly mentally infirm, physically disabled, individuals with sensory impairment, individuals who have learning disabilities, mental health issues or prone to substance abuse. At present we do not provide Nursing Care and neither are we an emergency service.